So far this year, Hamtramck High’s wrestling team has been slamming the competition. At 3-1, the Cosmos have already defeated Warren Lincoln (46-38) and Allen Park Intercity Baptist (68-16), as well as perrenial rival Cesar Chavez Academy (58-26). The team’s only loss came at the hands of Clawson (51-31). 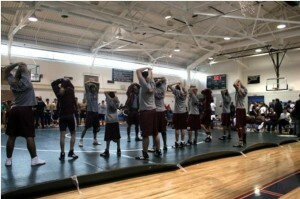 Currently, the team still has multiple wrestlers with undefeated records. Their next test comes Jan. 6th at 5 p.m. against Willow Run High School in Ypsilanti.